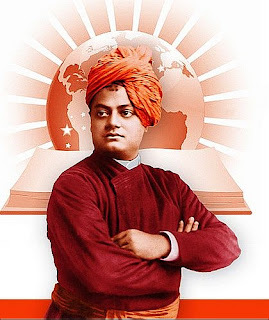 On Swami Vivekananda's 150th birth anniversary, here's the full text of his famous Chicago speech through which he introduced Hinduism at the Parliament of the World's Religions, Chicago in 1893. Sectarianism, bigotry, and its horrible descendant, fanaticism, have long possessed this beautiful earth. They have filled the earth with violence, drenched it often and often with human blood, destroyed civilization, and sent whole nations to despair. Had it not been for these horrible demons, human society would be far more advanced than it is now. But their time is come; and I fervently hope that the bell that tolled this morning in honour of this convention may be the death-knell of all fanaticism, of all persecutions with the sword or with the pen, and of all uncharitable feelings between persons wending their way to the same goal. First, believe in the world —that there is meaning behind everything. This I have seen in life —those who are overcautious about themselves fall into dangers at every step; those who are afraid of losing honour and respect, get only disgrace; and those who are always afraid of loss, always lose. Those who work at a thing heart and soul not only achieve success in it but through their absorption in that they also realize the supreme truth — Brahman. Those who work at a thing with their whole heart receive help from God. Why are people so afraid? The answer is that they have made themselves helpless and dependent on others. We are so lazy, we do not want to do anything ourselves. We want a Personal God, a Saviour or a Prophet to do everything for us. There is one thing to be remembered: that the assertion—I am God— cannot be made with regard to the sense-world. Strength is the sign of vigour, the sign of life, the sign of hope, the sign of health, and the sign of everything that is good. As long as the body lives, there must be strength in the body, strength in the mind, strength in the hand.